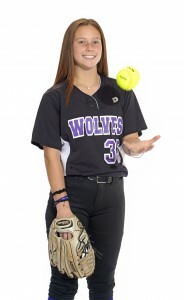 Meet eight standout athletes taking Greater Orlando by storm this spring. 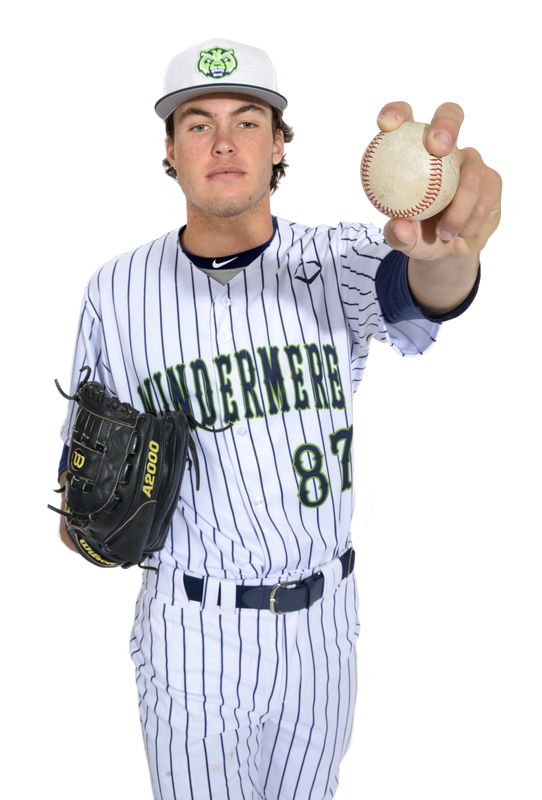 A senior lefthanded pitcher, Hubbart helped lead Windermere to a district championship and an appearance in the region quarterfinals last spring in its inaugural season. He is looking forward to a big senior year before continuing his career at Florida State. OFM: After the success your team had in its first season, are you excited to see what you can accomplish in year two? BH: I think we have a pretty solid team. We didn’t lose anyone and I think we have arguably one of the best coaching staffs in the state. You see what our guys have done with recruiting; our first class has five or six signees in it, which is pretty awesome. We got a couple of pickups in the form of another pitcher and an infielder, so I think we’re going to be pretty good. We just have to play together as a team. OFM: What does the addition of former MLB shortstop Felipe Lopez to the coaching staff mean to the team? BH: He’s a big-time hitting coach and that’s a huge pickup. Hitting is important, especially when we’re not give up that many runs per game. OFM: That’s true, you are part of a great pitching staff with three Division I commits. Do you think you guys are going to push each other? BH: Oh yeah. All of our pitchers are working together and we’re all giving each other advice. We have a really good pitching coach too. Our pitching staff is deep enough at this point that we don’t need guys to go out and throw [complete games]. We just need guys to give us five or six quality innings and hand it over to the bullpen. I think our pitching staff is on the same page. We’re not so concerned with velocity or strikeouts, we’re just concerned with giving up the least amount of runs we can to give our team the best chance to win. OFM: Going back to last year, what was it like going to a brand-new school and having a great season with a new team? BH: We knew it was going to be tough. That summer [in 2017], the kids on the team started getting together and getting to know each other. Most of us came from West Orange, so we sort of knew each other but we weren’t teammates. Having no seniors was a challenge that we had to surpass, but we went 19-9. … We had to play our butts off against teams that had seniors and had top-level players. We knew if we had a good team that year, we were going to be even better the next year if we kept working. OFM: Were you upset when you found out you had to switch schools? BH: I really liked West Orange and I liked the coaches. If that whole group had stayed together, there was no question we would have gone deep in 9A. We would have had five or six D-I pitchers and all of those guys can hit. It was sad that we had to leave but we knew it was coming so we prepared for it. Once we realized that coach [Eric] Lassiter was coming, we knew we were going to be fine. That’s the difference a head coach makes and that’s how good he is. Obviously people had opportunities to transfer to other places but we didn’t because we knew we were going to be alright. OFM: Have you always been a pitcher? BH: Yes, for the most part. I also played outfield but that ended as soon as I got to high school. OFM: What do you consider your out pitch? BH: It just depends on what you’re feeling that day. Lately we’ve been throwing a lot of intrasquads and bullpens and it’s been the curveball, just because it’s at a point where I’m feeling it really good. But some days when I’m not feeling the curveball, I know the changeup is always an option. For the past two summers the changeup has been my best pitch, just because I’m able to go out and throw a 90-mile-per-hour fastball and then spot the changeup wherever I want to. If you can throw a changeup wherever you want, it’s one of the hardest pitches to hit because it looks like a fastball but slows down and moves the other way. So some days it’s the curveball, some days it’s the changeup and some days it’s the fastball. OFM: Is there a pitcher you look up to? BH: Lately I’ve started to throw more like Josh Hader, who’s a closer for the Milwaukee Brewers. He’s also a lefthander. I was originally on the third base side of the mound but I switched over to the first base side after eight or nine years of throwing. It made a big difference in all the pitches I threw. I modeled that after Josh Hader, because we have the same arm slot. Obviously, he throws 96, 97, but my mechanics and the way I throw are a lot like him. OFM: Is there a hitter at the high school level who gives you a good challenge and you like going up against? BH: Honestly, the best hitter I’ve ever faced was last year and it was Riley Greene [from Hagerty]. He has the best plate presence and he’s one of those guys that if you make one little mistake, he’s going to make you pay for it. You have to be dialed in on every single pitch because he’s that good. I remember going through the lineup for the second time and after his at-bat I was just exhausted. OFM: If you could pitch in any MLB park, which one would you choose? BH: I’m a Cubs fan so I’ve always wanted to throw at Wrigley. Throwing at Fenway would also be pretty cool. I haven’t been to either one yet. OFM: How did you become a Cubs fan? BH: I’m from Peoria, which is about two hours south from Chicago. I’ve been around that area my whole life and I have family that lives up there. I love watching them play and I’ve been a Cubs fan since they weren’t very good in the early 2000s, and then they got a World Series so it was great. OFM: When did you move to Florida and what do you like about growing up here? BH: I moved to Florida when I was 5 years old. I really love how I can go outside pretty much year-round. If I need to go for a run or I need to throw, I can do it. I also love all the stuff you can do here. Florida is a busy place and I kind of think of it as the Las Vegas of the East. 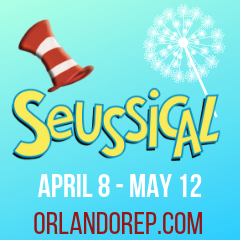 There’s so much to do, especially in Orlando. OFM: What are your hobbies away from baseball? BH: I like to play video games at home; I like to go to the beach. With Disney being here there’s a lot of stuff to do. Not even just the parks, but we can go over to the restaurants. OFM: What led to your decision to attend Florida State? BH: It doesn’t seem like a Florida school. I really liked the architecture and all the brick and everything. It just felt like home when I was there. My sister goes there so it saves my mom the stress of having two people at two different places. They’ve had a really successful program for the last 40 years with [coach Mike] Martin and the Martin family. I’m really looking forward to being coached by them. The players are awesome and I love the guys in my recruiting class. 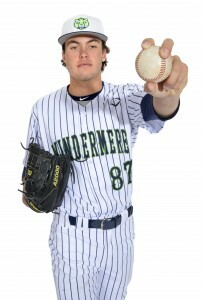 I’m looking forward to playing college baseball there. OFM: Is it your dream to eventually play pro ball? BH: I’m not sure it’s an option right now, because I’m not one of those guys who throws 95 or 96 every inning. But with a [velocity] jump, maybe I’ll get there, I don’t know. I just want to play for something bigger than me and if it gets me a chance to get drafted, then it happens. I know I’ll always have the college option and I’m 99 percent sure that’s where I’m going. The draft may come up, it may not, but that’s not what I’m focused on right now. I’m just focused on playing my season and doing what I can for my team. 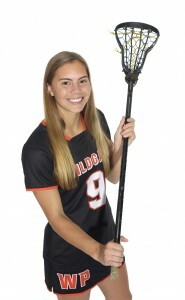 A three-year starter in the midfield, Sedwick played a key role in Winter Park’s run to the Metro Conference championship and second-place finish at districts last year. The junior has already committed to Loyola University. OFM: Are you excited to build on the team’s success from last year? IS: Yes. We lost a lot of seniors, which is kind of sad, but we have a lot of good people coming in and we should be pretty good. I think we can make it to districts and possibly further. OFM: Now that you’re an upperclassman, do you feel like you have to take on more of a leadership role? IS: Definitely. A lot of our team is younger; we only have a couple of seniors. So a lot of the juniors, including me, have to take the lead this year. Everything is going well so far and we’re having a lot of fun with it. OFM: Do you like playing in the midfield and being counted on both offensively and defensively? IS: Yes. I take the draw, which starts the whole game off. That helps get things going and I like getting the ball up to the offense. When we do lose the ball and we’re on defense, I like to keep up the communication, make sure everyone is working together and keep the other team from scoring. OFM: Draws are obviously huge in lacrosse. How did that become a strength of yours? IS: I used to play attack but one time my mom accidentally signed me up for midfield at a camp. I took a couple of the draws and I ended up really liking it. I grew into the role and it’s been fun playing in the midfield. OFM: Do you still consider yourself a goal scorer? IS: Yeah, especially on attack. In Florida the style of play is a lot slower than in travel so it’s easy to get the attackers going and get everyone moving to get open for a goal. We had a lot of good attackers last year so I considered my job getting them the ball so they could score. This year I’m hoping to play a more dominant role. OFM: How did you get started in lacrosse? IS: One of my friends in third grade was playing lacrosse. I was doing gymnastics and soccer, but my friend said I should try lacrosse. I played it and loved it. She ended up quitting, but ever since then I’ve been playing. OFM: What do you love about the game? IS: I love how fast it is and I love how it combines the running aspect and footwork of sports like soccer with hand-eye coordination and using a stick. It’s a super unique game. OFM: Why did you choose Loyola to continue your career? IS: They contacted me in September and said I could come for a visit. I wasn’t really looking at them at the time but I ended up going and I really liked the coaches. The players are all really creative when they play and the whole team was having fun. I loved visiting there so I decided I wanted to go there. 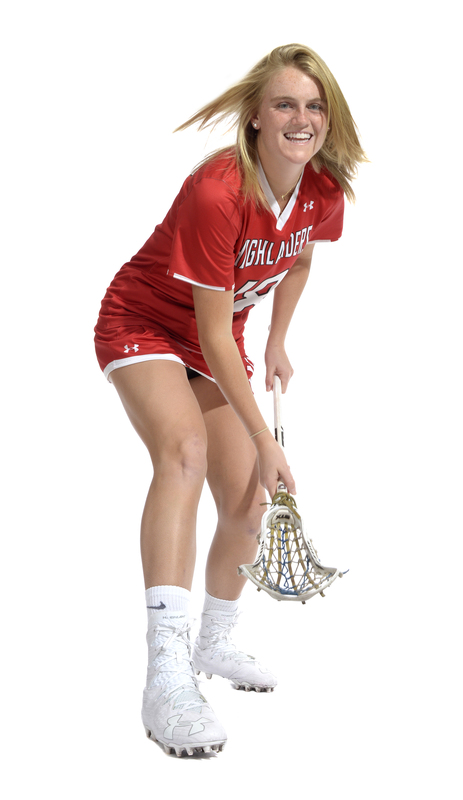 OFM: Lacrosse is so big in Maryland, but are you nervous about going to school so far from home? IS: No, not really. I was also looking at places like Stanford. It doesn’t make me nervous because you have your whole team and your coaches with you. Maybe I’ll get homesick when I’m at college, I don’t know. OFM: What are you going to miss the most about Florida? IS: I think I would like the cold weather, but I also think at times I’m going to miss the warm weather down here. It even gets cold sometimes here and I just want to stay inside. OFM: Didn’t you also go to Maryland to play in the Under Armour game at Towson University? IS: Yeah, last year I played in the underclass Under Armour game. I would love to play in the senior game this year. I’m going to work my hardest to try to get there, but it’s really competitive. OFM: Do you know what you want to study in college? IS: I really like science so either some type of engineering or physics. OFM: What do you like to do when you’re not playing lacrosse? IS: Of course I like hanging out with my friends. I also really like photography. I’ve been traveling with my family a lot the past couple of years and I have a camera, so I started taking photos and I like editing them and messing around. It’s pretty fun. OFM: What are some of the places you’ve traveled to? IS: Last year we went to Peru and that was cool. We went to Machu Picchu and everything. The year before that we went to Australia and New Zealand and there were a lot of cool landscapes there. A high school All-American last year as a junior, Meisenheimer owns the school record for most goals in a game and is on track to break the career scoring mark as a senior. 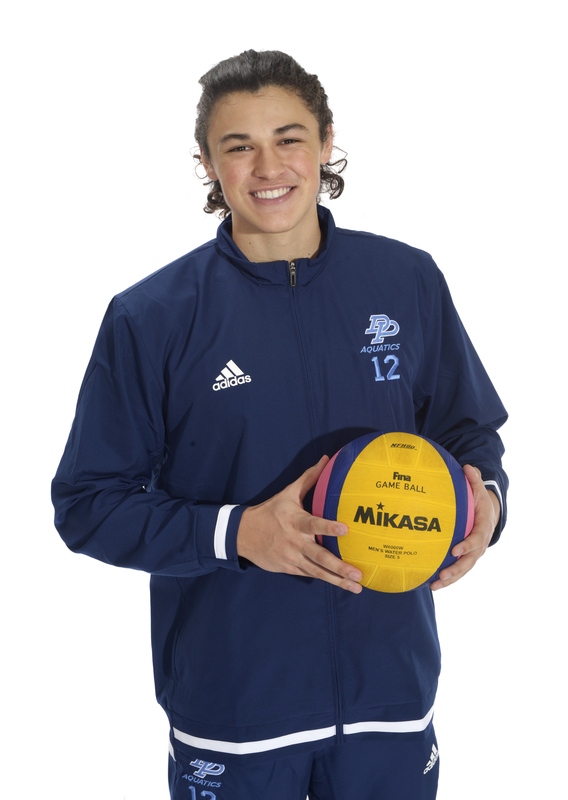 Also a standout in the classroom, he will play Division I water polo at the University of California at Irvine. OFM: You recently signed your letter of intent to UC-Irvine. What was the experience like? MM: It was very exciting; a fun day. It was probably in middle school when playing in college became a goal. I realized I had the potential to do it and I just had to put in the work. OFM: What did you like about the school and the program? MM: I took a trip out there during spring break last year to visit a couple of different schools. That one just really clicked with me. I liked all the history behind the water polo program and I really liked coach [Marc] Hunt. I also liked the setup and the style of the school, and the food in the cafeteria was pretty good too [laughs]. They have good workout facilities as well. OFM: Do you know what you want to major in? MM: I’m thinking about sports medicine. That’s what I’m interested in right now but it might change when I get to college. OFM: Are you nervous about going away to school on the other side of the country? MM: Yeah, I’m definitely nervous but mainly excited. I’ll miss my friends and family. I’ve grown up my whole life here so it’s going to be a lot different. OFM: What drew you to water polo in the first place? MM: I started in fifth grade. Both of my brothers had already started before me; I saw them playing and I wanted to try it out. I liked it right away and fell in love with it. I grew up playing a lot of different sports and I liked them, but I didn’t really want to work hard at them. I just did them for fun. This is the first one I had a passion for. OFM: I’m sure it can be a physically demanding sport. MM: Oh yeah, you definitely have to put in the work. It’s tough but it’s worth it. OFM: You’re closing in on the program record for career goals. What would that mean to you? MM: Not really that much. I’m not much of a record person. It’s important, but I’d much rather have a winning season. Winning states is the main goal; I’m not worried about [the record]. OFM: The team had a lot of success last year and reached the district final. Are you fueled by getting that close to a district championship? MM: Yes. Every year we’ve had a pretty solid team and I think this year we have a good shot at making a run for the state championship. We just have to stay motivated the whole season. OFM: What do you like to do in your free time? MM: I like going to the gym a lot. That’s where I spend most of my free time. It kind of relates to water polo but it’s just an escape for me. I also like hanging out with my friends. OFM: Do you like going to the beach? MM: Yeah, I like the beach but it’s not super close to Orlando. I get out there when I can. [UC-Irvine] is right near Newport Beach so that’s going to be fun. OFM: Is there a story behind how you got your first name, Maximus? MM: I was actually named after the character in the movie Gladiator. I was born the same year that movie came out and my parents just really liked the name. Most people know me as Max but I’m thinking about going by Maximus once I get to college. Hendrix emerged as Timber Creek’s ace pitcher as a sophomore, as she finished with a 0.87 earned run average and 180 strikeouts in 129 innings in leading the Wolves to the state tournament for the second time in school history. The junior is committed to Syracuse. OFM: After making the state tournament last year, has that made you even more excited to get back out there this spring and see what you can accomplish? LH: Yes. Our goal as a team is to always go one step further than we have, so I’m really excited to see what we have this year and see if we can make it just as far or do even better. OFM: Do you think the experience from last year will pay off? LH: Yes. Now that we’ve been to states and realize how it is, I think going back a second time we would understand what we need to do and have a better chance to win it all. OFM: I know you played a lot as a freshman too, but did you like the challenge of becoming the clear-cut No. 1 pitcher as a sophomore? LH: My freshman year it was me and Britton Rogers, but she moved to Texas so it left just me. It was definitely a challenge and it raised my expectations for myself as a pitcher. I’m pretty proud of how I handled it and I think everything happens for a reason. OFM: Have you always been a strikeout pitcher? LH: I haven’t always been the fastest [thrower]; that’s just not who I am. I have more spin, so I always got more ground balls and fly balls than strikeouts. But I had a lot of strikeouts last season so that was good. It really doesn’t matter to me—it’s more of a team effort, so if they hit it and my team gets the out, it’s just as good. OFM: What’s your best pitch? LH: Definitely my changeup. I also throw a fastball, a pretty good curveball, a screwball and a rise. I’m still working on my drop. OFM: How old were you when you started playing softball? LH: I was pretty young, around 8. I started pitching around 10. I played two years of coach-pitch and I was just in the circle; I wasn’t actually pitching. OFM: What do you like about being a pitcher? LH: I just feel like I can do a lot for my team in the circle. Not that everyone is depending on me, but everyone is looking at me to help out as much as I can. I love that and I love being able to hype everyone up. OFM: What led to your decision to commit to Syracuse? LH: The recruiting process was going pretty good and then Syracuse found me. They invited me up for a visit so I went and fell in love with the school and the coaches. I decided that I didn’t think I was going to find anything better, so I chose Syracuse. I still think it’s a great fit. OFM: Are you prepared for the cold weather up in New York? LH: Yes, I am. I’m originally from Ohio; I moved to Florida in 2016. The cold weather is my favorite and I’d rather get out of the heat. I’m very excited for that. OFM: What part of Ohio are you from? LH: Akron, in Northeast Ohio. I probably lived about 15 minutes from where LeBron James is from. OFM: What did you think about moving to Florida? LH: I was really nervous at first because the part of Akron I’m from was a small town and there weren’t a lot of people. But I’m happy we moved because I really like the atmosphere. OFM: What are your hobbies away from softball? LH: Well, I love my friends, of course. I have a little group that I’m always with. I also focus a lot of my attention on school because I think good grades are important. I love doing stuff with my family too. I have a twin brother and we’re really close. OFM: What was it like growing up with a twin? LH: We went through a phase where we fought a lot for a year or two. I have an older brother too, and when he left for the military that’s when we realized that we’re not always going to be living together. Ever since then we’ve been really close. 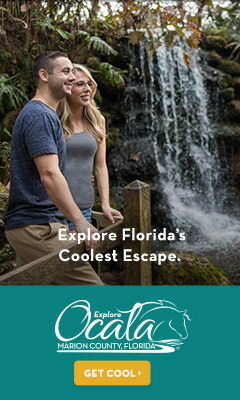 OFM: Do you ever visit the parks in Florida? LH: Yes, I spend a lot of time at Universal. My favorite rides are The Hulk, Dr. Doom and Spider-Man. OFM: Do you know what you want to study at Syracuse? LH: I know I want to be a childhood specialist, so probably child and family growth and development. That’s my goal—I want to work in that psychology field and help people. OFM: What are your goals for your college softball career? LH: I want to help my team as much as possible. Of course I’d love to win a national championship, but I just want to start with winning the ACC first. A senior midfielder, Thurston scored more than 60 goals last year as Lake Highland posted an 18-7 record and reached the state championship game for the first time. She is poised for a huge final season before moving on to Duke. OFM: Has the experience from last year raised your expectations for this season? AT: I’m very excited about this season, especially because we’ve had new players come into our program and because [renowned lacrosse coach Chris Robinson] is now the coach for my last season. We’ve already bonded together and our chemistry is way better than it’s ever been in the past. I think this season is going to be a lot of fun. OFM: You mentioned your new coach, who came to Florida after a legendary career in Maryland. Did you know much about him? AT: That was a really big deal. I had obviously heard about him, because he’s a such a well-renowned coach. But also, he coached Maddie and Olivia Jenner from Duke when they went to [high school]. So when I first heard that he was going to become our coach I quickly texted them and asked what they thought. They had nothing but good things to say so I was looking forward to meeting him and having him as a coach. AT: [Laughs] He can be a little tough, but I’m sure he does it with our best intentions in mind. He knows when it’s time to be serious but he also knows when it’s time to have fun. OFM: What are your personal goals for this season? AT: Honestly, I just want to make the best season possible. Last year there was a lot of confusion between players and I think this year we just want to stay steady and motivated about achieving our goals—like winning states. Staying positive and being there for everybody is all I can really do. OFM: What’s your favorite part of the game? AT: It’s probably just being a midfielder; being able to defend and then, if we get the ball, being able to quickly run down the field in transition and joining the attack. I get to be part of the offense and defense. OFM: Is it special to play on the team with your sister Ashley, a sophomore? AT: It’s amazing. I will have played with her for two years of high school. Our club teams are by grad year so I never got to play with her, although we play in the backyard a lot. Being on the same team with her, I know she’ll be there to push me and I’ll be there to push her. On the field we automatically have the sister connection, so that’s always helpful. OFM: You might have to recruit her to Duke. AT: [Laughs] I’m working on it! OFM: Was Duke the dream school you always wanted to go to? AT: When I was younger I always saw Duke as such a pretty campus and everything, but when I started the recruiting process the main thing that drew me to Duke was the chemistry on that team and coach [Kerstin] Kimel. Her leadership, coaching ability and coaching style is what I wanted in a coach. Besides that, the amazing academic aspect of Duke was important too. When I went on my visit, I stepped on campus and fell in love. Instantaneously I knew that was the place for me. OFM: Do you think you’ll miss Florida when you head to college? AT: I think I’ll miss having my sister around and my family. But I already know a lot of the girls on the Duke team; they do a really good job of letting us meet our teammates before we go. So I feel like I already have 30 other sisters and there and I feel like I’m going to my second family. I’ll be in good hands. OFM: Are you excited to be part of the Duke-North Carolina rivalry? AT: I am very excited for that. On my visit we got to go to the Duke-UNC men’s basketball game last year, when it was Duke’s senior night. The fans are amazing and I didn’t expect Cameron [Indoor Stadium] to be so small, because you see it on TV as a huge arena. But I love the fact that they didn’t add on seats and make it this big stadium. It has a family feel. I would be scared to play on the court myself, but being in the stands was really fun. OFM: Do you know what you want to study? AT: I do not, but I’m considering pre-med. I think I can handle it [while playing lacrosse]. I’ve always loved biology class and now I’m taking a forensics class. I’m learning about becoming a doctor and learning how to help people. If I was to choose a specific kind of doctor, I would probably want to be in the emergency room where I can be there to help as many people as possible. Watching all the TV shows, I’ve always wanted to do that. OFM: So you must be a big fan of Grey’s Anatomy and shows like that. AT: Funny thing, I’ve never seen a full episode of Grey’s Anatomy. My family has, but I loved CSI and stuff like that. OFM: What are your hobbies away from lacrosse? AT: I’m also on our varsity soccer team and our varsity golf team. I’ve played soccer for seven years now, and in golf I was on the varsity as a sixth-grader, a seventh-grader and then junior and senior year. If I have any more free time, we live on a lake so I like to go out on the boat and paddle board, and I also play tennis. I love to ski too. We’re actually going to Park City, Utah to ski. It’s so pretty there. OFM: So basically you love to be outside. AT: Yes. I love the beach too. The beach and the mountains. OFM: What’s your favorite beach spot? AT: Sarasota. I think that’s my favorite because my parents would take me a lot when I was really little and I would walk along the beach and try to find sea shells. Every time I go it’s a tradition that we try to find different sea shells. The sand is really nice there and the water is crystal clear. Bianchi’s memorable career at Olympia has included three region championships, two trips to the state semifinals and an individual record of 50-2. A two-time Central Florida Player of the Year and three-time Orange County Player of the Year, he is committed to Southern Methodist University. OFM: You’ve had such a standout career at Olympia. Is it hard to believe it’s almost over? JB: Yeah. I still remember my freshman year, going into states. I can’t believe this is my last opportunity to go to states. It’s gone by really fast. I still remember getting teased as a freshman and it’s been a crazy road. OFM: Are you proud of what you’ve accomplished so far in high school? JB: I’m super proud of not only myself but what the team’s accomplished, especially last year. We lost all of our varsity team except for myself, and with a lot of underclassmen we were able to make it all the way to the semifinals of states, so that was a huge accomplishment. We basically have the same team this year and we’re hoping to get back to states and make the finals at least. OFM: What’s it like when you get to that point? JB: The level of plays changes drastically from the district and regional level. When you get to states, it means business. All the teams are good and there’s not a team that has a weak spot. You really have to be on your A game if you want to go far. OFM: I know your dad Juan Carlos was a standout player himself. Is he the one who drove you into the sport? JB: When I was younger I played baseball and tennis competitively, but my freshman year I made the decision to choose tennis and stop playing baseball. Obviously my dad had a big influence in that decision, especially since he’s my coach and I train with him every day. Always having someone in your corner who will support you no matter what, it’s huge, especially for tennis because it’s an individual sport. He’s had a great influence and I’m very thankful to have him. OFM: Have you seen old videos of him playing? JB: [Laughs] Yeah, it’s crazy. When he was a teenager he actually played with a wood racket. It’s fun to watch those videos. OFM: He competed in the Olympics and the Davis Cup, right? JB: Yes, he was in the Atlanta Olympics in 1996. OFM: Do you have a favorite professional to watch? JB: For me it’s [Roger] Federer. I actually have a pretty similar game. I mean, I wish I was at that level but I have a one-handed backhand; I like to move to the net. So I watch him a lot in order to learn. I watch a lot of players, but I watch him specifically for his strategy and point patterns. Since my game relates to his, I’m able to adapt what he does and fit it to my game to try to get better. OFM: Are there guys at the high school level you like competing against? JB: When you get to states, you’re playing against the best junior players in the state of Florida. Not all of them play high school but a good portion of them do. I know last year when we got to states, I played in the quarterfinals against a guy named Chase Martin, who is pretty well-ranked in Florida. I ended up beating him and in the semifinals I played against who I believe is currently the No. 1 player in Florida for boys 18s, and that’s Logan Zapp. I ended up losing to him. Once you get to states there are players who stand out and you really need to be playing your best if you want to have a shot at winning. OFM: If you could go to any Grand Slam event as a spectator, which one would you choose? JB: I’ve been to the U.S. Open, but I would love to go to Wimbledon one day. That is definitely on my bucket list. I played a tournament called the International Grass Court Championships and it was kind of like Wimbledon for juniors. You had to wear all white, even the spectators. The atmosphere was really cool and I would like to experience that in a professional tournament and see what it’s like. OFM: What’s it like playing on grass? JB: It’s very fast. The ball does not get off the ground so your knees basically need to be kissing the ground at all points. It’s very slippery and it’s hard to change direction, so you really have to get used to it. OFM: What led to your decision to commit to SMU? JB: I was looking at a lot of schools, including Rice and Virginia Tech, but I ended up choosing SMU because the program, the coaching staff and the team were really close-knit. The coaches really care about their players and they focus on what each individual needs to improve, as well as the team. I felt like some schools were lacking in that department. I want to major in economics and the business program at SMU is really good, so that was also an advantage. I also like that SMU is located in the heart of Dallas. For example, with Virginia Tech I didn’t really like that there wasn’t much to do outside of the college. That was a big plus that SMU brought to the table. OFM: Do you have hopes of playing past college? JB: I do. My ultimate goal is to play four years at SMU, mature and learn a lot from the college experience and then use that as a platform to attempt the pro level. OFM: When you do get a break from tennis, what are some of your interests? JB: I’m a pretty sporty guy. I like to play any sport and my go-to is baseball. I’m an outdoor kind of person and I’m also very social, so I like to be with friends. I know some people enjoy their alone time but I’d much rather be with people I can have a good time with. OFM: What’s your favorite thing about Olympia? JB: I’ve made a lot of relationships that are going to mean a lot even when I move to Texas. I’ve made a lot of great memories and I’ve had a lot of great teachers over the years who have made an impact on my life. I’m really thankful for them. The staff is very helpful, especially for tennis players because a lot of tournaments go into Mondays and Tuesdays so you’re missing a lot of school. To be able to have those people on campus who support you and understand your situation, that’s really been helpful. A senior, Newsome captured the class 4A state championship in the shot put last year with a throw of 46 feet, 6 inches. 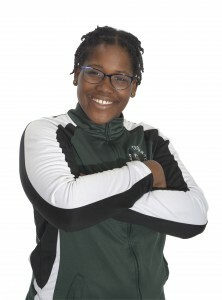 Also a standout in the discus, she is looking to finish strong in both events in her final season. OFM: Are you excited for the spring season after what you accomplished last year? SN: After last year’s win I was actually very humble, but yes I’m very excited for the season. I want to throw 50 [feet] this year and create another PR [personal record]. OFM: Let’s go back to the day you want the state championship last year. Were you surprised at all? SN: Going into the competition I was second, but I wasn’t worried about winning—I just wanted to PR. The throw that I actually won with, it was surprising to me. I threw [that distance] in practice but never in competition. I was surprised that I was able to PR in competition. OFM: How did you celebrate? SN: Some people are kind of finicky about the fact that I wasn’t ecstatic. I was excited but I just wasn’t jumping up and down and bragging about it. OFM: What did you do in the offseason to prepare for this season? SN: I have a circle near my house that I go to twice a week to throw, and we have practice three days a week. So I was out there five days a week. OFM: Do you do all three throwing events? SN: I do the shot and the discus, but shot is my favorite. That’s the one I started out with in middle school and that’s the one I fell in love with. OFM: What are your favorite parts about being on the team? SN: I love that we work together because in prior years our track teammates wouldn’t really come over with us. Now they actually come and watch us and support us. I’m becoming even more fond of the team now. OFM: Do you and the other throwers push each other? SN: Most definitely. My teammate [Michaelle Valentin] came in second [at states], but to this day I will help her train and if she does better than me, I can’t say too much. OFM: Do you play any other sports? SN: I also do volleyball and weightlifting, but that’s to stay in shape for track. I started volleyball before I ever started track. OFM: What are your plans for next year? SN: I’m actually planning on signing soon. My long-term goal was not only to play in college, but just go to college. SN: I actually want to go into the medical field and I know I need an undergraduate degree, so I’m going to do forensic science. 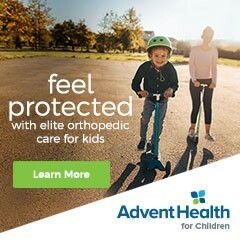 Eventually I want to go to medical school to become a pediatrician. OFM: What are your hobbies away from sports? SN: I like to be with my family and crochet. I’ve been crocheting since maybe fifth grade. So far I’ve made some covers for my nephews and some shoes. OFM: Do you like growing up in Florida? SN: I’ve lived here all my life but I’m actually ready to leave the state. I want to go to college outside of Florida. I feel like if you stay, you get stuck. I want to experience more states and more environments, but I just don’t want to go too far north. OFM: What do you like about going to school at Evans? SN: There are a lot of factors that go into why I like Evans. Evans is actually one of the best schools in OCPS but people don’t realize that because we’re always generalized. We’re actually a great school. Just a junior, Shields already has five individual state championships on his résumé, including titles last year in the 110 hurdles, 300 hurdles and long jump. He is known as one of the fastest hurdles in the country for his age group and is also a star basketball player. OFM: You’ve already had two great high school seasons on the track. Does that raise the bar and change your expectations going into your junior season? AS: I expect myself to outperform my past performances. Not only because I want to and I’m looking to give myself more opportunities to go to college for free and study what I want to study, but also because I want to help my team. My school doesn’t have very many track state championships and being part of my school’s history is something I want to do. … It means a lot to me to do as much as I can now and help my team win the state championship for these years that I’m attending The First Academy. OFM: Did you have a feeling going into the state championships last year that you were going to have a big meet? 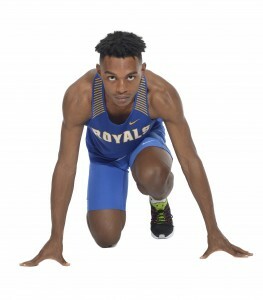 AS: It’s actually really interesting; going into every meet I try to keep my routine the same, but at the first state track championship my freshman year I did my warmup a little different than before, so I’ve just kept to it [since then]. Last year I kept the same routine during the season and during states. I guess I have some good mojo going and that always gets me in a good mood to perform well that day. 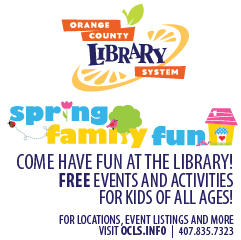 OFM: Do you have a favorite event? AS: The 110 [hurdles] is definitely my favorite. The 300 is a tough race but it’s not the most lovable. The 110 grabs your attention. My dad taught me that whoever gets to the first hurdle first usually wins the race. That’s always been my goal and my objective and I take it as a fun game. It motivates me to go even faster, thinking that nobody is going to beat me to the first hurdle. Whereas in the 300 hurdles if you slack off a little bit in the beginning you have enough time to make up for it. The 110 is a lot about skill and precise movements and that’s what excites me about it. OFM: What did it mean to you to have one of the best times in the country in the 110 hurdles for your age group? AS: I had the second-best; somebody went under 14 [seconds]. I really don’t think about it a lot. It’s cool to have those accolades but you can have the title of fastest guy in the country and still get beat at a track meet. My goal is to not lose at all during the season. When it comes down to the big meets I want to be prepared; not focused on being No. 1 overall but winning that race each and every time. OFM: I know your parents were track stars too. What kind of influence have they had on you? AS: My parents have always strived to be the best individuals they can be and the best pair they can be and that’s what has gotten me to where I am today. My sister has also guided me a lot. Sometimes when my parents aren’t there, my sister is there for me either by phone or in person, encouraging me to work hard and to achieve more than my parents did. One of my big goals is to beat my dad’s records. I haven’t gotten there yet, but I’m working hard each and every day to get there. OFM: How does he feel about that? AS: He wants me to shatter his records. He does a good job at practice of pushing me every day. I’m blessed to respond to that and put it into my training. OFM: Are you just focusing on basketball and track now and giving up football? AS: I stopped playing football my junior year but I’m still undecided on playing my senior year. If I do, I’ll play as hard as I can each and every game to benefit my team. If I don’t, I’ll be at every home game supporting them and if I have time, I’ll be at away games supporting them too. OFM: Do you have a passion for all of those sports? AS: Oh yeah. If I didn’t have those sports I wouldn’t be where I am today. Being able to play basketball, football and track has made me the person I am and made me mindful that it can all be taken away. I try to work hard every day and play to my best ability. OFM: How does scoring a touchdown or hitting a big 3-pointer compare with winning a race? What’s the best feeling out of the three? AS: Wow, that’s tough. I think winning a race takes the crown on this one. That means a lot to me because it shows that my hard work put me on top of everybody else. At the end of the day track is ultimately a team sport, so I’m also helping my team to win the whole meet or the team title. OFM: Have you started thinking about college yet? Would you like to stay close to home? AS: I really like the sun and being warm, so most of the states in the South would be nice. But West Coast or East Coast, it doesn’t matter. I was born in Minnesota so I’m very much willing to be in the cold too. Any college that gives me the chance to play my best and show what I can do, I would be blessed for that opportunity. AS: I would either like to follow my dad and go into legal studies or become a computer technician because I love technology and this is a technology-driven world that we live in today. To be able to contribute to that would be something special. OFM: Do you have Olympic dreams? AS: I do. Being able to represent the USA, or even Guyana, my mother’s home country, in the Olympics in 2020, 2024 or 2028 is one of my biggest goals. Not many people can get there and to call myself an Olympic track athlete is something I strive for. OFM: What are your hobbies when you’re not playing sports? AS: I’m lucky to have a really good relationship with a lot of my teammates and we try to hang out a lot outside of school. I guess the average teenager would probably say video games and I’m definitely in that category. I played Fortnite for a few months when it first came out but I’m more into Call of Duty. OFM: What do you like about going to school at The First Academy? AS: Coming from a public school background, the academic side at The First Academy really means a lot to me. My old school used to be overcrowded, so I like having the small class sizes. Sometimes teachers are able to go one on one with you so I’m able to focus a little more. It’s also a Christ-centered school so I’m able to keep my faith strong.